Christina Evangeline is a proud and loving mother to her beautiful baby daughter, Georgia Marie. Born in June of 2014, Georgia Marie instantly became the center of the universe for both her parents. Being parents for the first time, Christina Evangeline and her husband described how they felt completely exhausted yet purely ecstatic upon her arrival. Georgia Marie came into the world weighing just over six pounds and has since seemed to grow so fast. 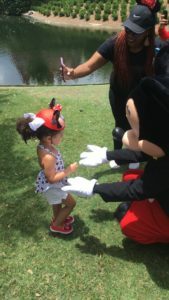 Recently, she celebrated her third birthday with her friends and family in Disney World, a place of magic and wonder. Christina Evangeline cannot believe how fast little Georgia is growing. She loves watching her baby girl explore and experience the world around her. Georgia Marie is full of energy and always has a smile on her face. She has been hopping and dancing around even before she could walk, simply loving life and bringing joy to everyone around her. She also loves flowers, shopping at the mall, and running around outside. As a summer baby, little Georgia Marie totally shines with the beautiful sunny skies in Florida where she has grown up. In fact, her name pays homage to the neighboring state where her father grew up and where her parents were later married. For Christina Evangeline, becoming a parent has provided her with a life changing and completely fulfilling experience. 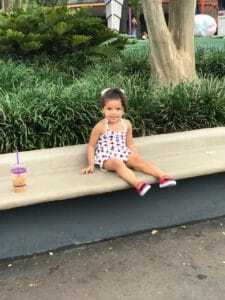 She has learned to appreciate the little things more and more as she watches her daughter take in each new discovery, from her first trip to the beach, to her first snowfall, her first plane ride, first words, and beyond. Christina Evangeline has captured many of these moments in photos and videos on Instagram and other social media sites so that she can go back and cherish these precious memories for years to come.